Last November, I posted the contents of a reel of tape containing an albums' worth of 1960's material by Larry Taylor, who I had first featured in the 365 days project. 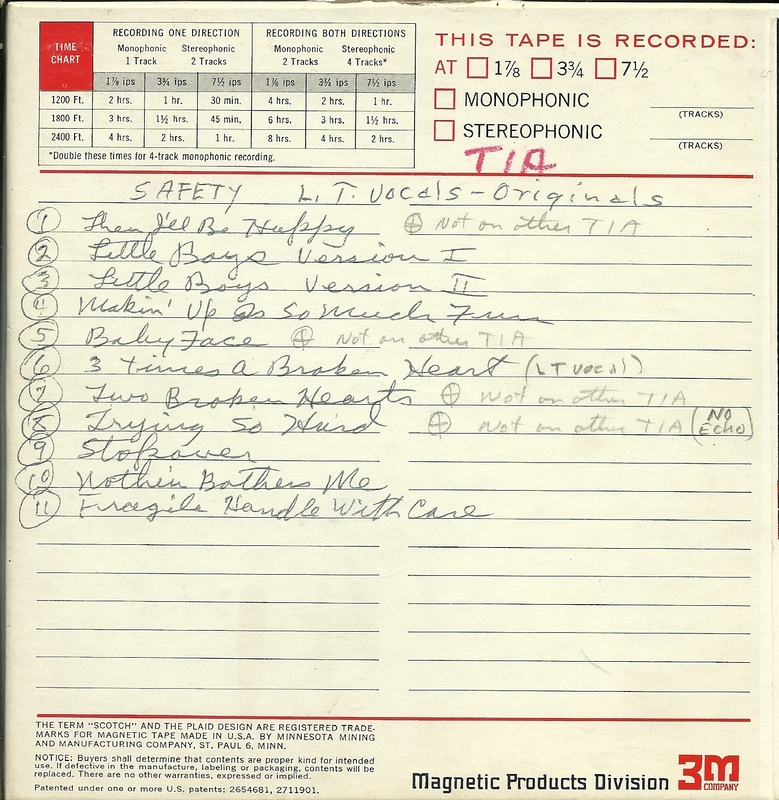 Today, another tape full of tracks, which, like the first set, has notes indicating they were meant to be part of (or perhaps the entirity of) an album released under Mr. Taylor's name. In addition, I have a few odds and ends from yet another tape from the many Larry Taylor tapes I became the owner of, back in the late 1980's. What I know if Larry Taylor's career is included in the posts linked to above, but I will make mention of his long career in radio, stage and records, ranging from big bands and dixieland in his early days to a friendship and work with Dora Hall in the '60's, to experiments with the Moog in the late '60's and '70's. There are a few overlaps with the tracks from the previous postings, but in most cases, there is something different between the two versions of a similarly or identically named track. Tracks 2, 8, 10 and 11 of this version are the same tracks as heard in the last posting, but are generally in better quality (particularly, less muddy) here. Tracks 4 and 6 are different versions, with different vocalists, as the versions heard on the first posted album. "Baby Face" is the same version heard in the 365 days project, but in higher quality here. And the second version of "Little Boys" is quite different, but just as odd, as the first version. Now, on to something considerably more peculiar. Yet another tape in the collection primarily features Larry Taylor doing some tests with his Moog Synthesizer, which I will not include here. But at the beginning and end of that tape are some interesting recordings. The tape starts with a brief burst of tense piano music, such as from a Dudley Do-Right cartoon, followed by a nearly-as-brief statement the cartoony voice of "Horrible Horace". This is followed by a recording of the theme song to the long-forgotten kids show "The Cliffwood Avenue Kids". IMDB shows that this program had a theme song written by Larry Taylor - although they credit the wrong Larry Taylor, crediting the work to a former member of Canned Heat. Heard here is a real oddity: as the theme plays in the background, an elderly sounding woman makes several attempts to sing along. Still to come at a later date are Larry Taylor's Moog recordings, among other Taylor tapes, if anyone is interested! Ummm, Wow! Thanks for this! Larry Taylor never dreamed someone would take this much interest in his music! These are great - bring on the Moog tapes! how can i get this album tape?? i looked every were! i really like the track number 9 called stopover. can some one help me find how to get this album?? This was my Grandfather! Can someone please send me the contact information for the person who wrote this? Wow! Thanks for the post. I'd love to hear his Moog recordings too.